EXTENSIVELY UPGRADED & METICULOUSLY MAINTAINED! Two-Story home nestled onto a ¼+ acre mature treed & fenced lot, abundantly landscaped, with deck and paver patio! ~3,500SF on 3 finished levels! Two-Story, ceramic Foyer. Dining Room with wood floors. 1st floor Den & Laundry. Gorgeous island Kitchen with 42” cherry cabinets, new appliances & Corian counters. Vaulted Master Suite with sitting area, nursery/5th BR & garden tub. Finished lower level has Media Area & Recreation Rooms. 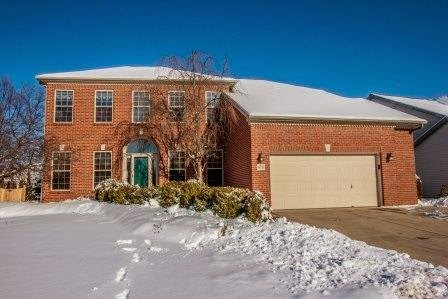 Family Room with brick fireplace, 2.5 car garage & much more!! 4 BR’s & 2.5 Baths. Westerville Schools. Only $324,900! Call DeLena today! 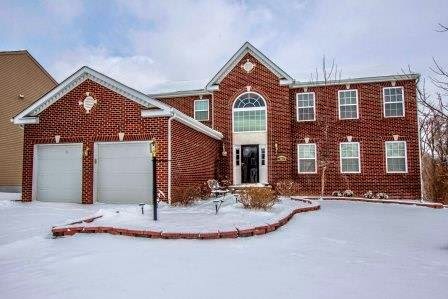 Upgraded Two-Story home with ~4,900 SF on 3 finished levels! 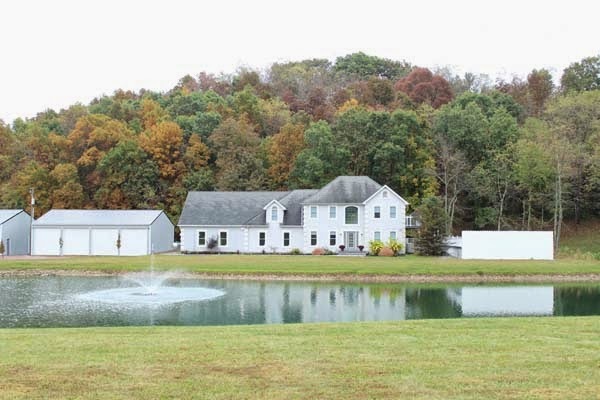 Located on a very scenic ~1/4 acre fenced lot with deck and custom paver patio overlooking woods, ravines and a stream. Two-Story, wood Foyer. 1st floor Den with built-ins. Fully applianced, island Kitchen boasts granite counters & upgraded cabinets. Family Room with corner fireplace. Huge Loft overlooks the Foyer. Master Suite with vaulted ceilings, his & hers walk-in closets & whirlpool Bath. Finished walk-out Basement with 2 BR’s. Full Bath, Great Room with fireplace & second Kitchen (perfect In-Law/teen suite). 4-6 BR’s & 3.5 Baths. Big Walnut Schools. Only $349,900! Call DeLena today! 2. Guestroom- Create a spa-like retreat for your guests. Include reading materials and brochures for local activities. Have some hotel-like amenities ready to go in a decorative basket so they feel welcome, knowing you have thought of their needs. 3. Craft or hobby room- You finally have a place to do your scrapbooking, sewing, or painting! Let this room be your private studio where creativity flows. 7. Mediation room- Oh to have some peace and quiet-create it! Don't allow anything in this area that doesn't bring you peace and tranquility. Some suggested contents include a water fountain, floor cushions, candles, incense, and chimes. Selected reading and audio materials will also set the mood. A serene start or end to you day, or a quick getaway to rejuvenate. 8. Room to spare, room to share- create that media room, music, pool, puzzle, card or board game room and invite friends over for a night of fun and hospitality. 9. Renovators rescue- Use the empty room as the spare room to hold addition furniture, etc. when you are renovating - flooring especially is difficult as you need room to move all your stuff. When all your renovations are complete, rework your spare room into one of the above suggestions. Beautifully remodeled home with a chef's “dream” Kitchen! Granite counter tops, glass back splash, under cabinet lighting, new S/S appliances, gourmet cook top, touchless faucet, huge stainless sink, hardwood floors & so much more! Master Bedroom with balcony overlooking pool, vaulted ceiling, and attached Master Bath with huge walk in ceramic tile shower. Guest suite with Full Bath and sitting room. Two insulated steel buildings with 10 bays. Endless possibilities! Nearly 5,600 SF! 5 BRs and 4 Full Baths. Logan Hocking Schools. Only $459,900! Call DeLena today! OPEN HOUSE IN STONEWYCK MANOR!